Whether you are a hobby blogger or run professional or business blogs – presenting your website appealing, well organized and reader friendly are some of the most important aspects when creating your website. WordPress is very popular as well as an user friendly platform to create websites of any kind. Depending on your type of blog project – personal, professional or business – there are many blog WordPress themes that can help you make unique and attractive blogging websites. Some people like it simple and plain regarding the features and layout for their blog, others prefer more fancy and opulent blog WordPress themes to present their content more elaborate. Simple WordPress blog themes are characterized by a classic blog front page which displays full articles or excerpts of latest posts in chronological order. Such simple blog layouts can be perfect for bloggers who now and then publish nice articles about hobbies, beauty, lifestyle, design, food or whatever else you can blog about. For professional blogs related to a business with lots of content or niche projects like food blogs there are suitable WordPress templates which allow you to create more complex layouts: a static and fully front page to display latest posts or other content in several different, more professional ways. Whichever blog type you might have in mind, in our collection of “Blog WordPress Themes” you will find all kinds of different blog WordPress themes for any type of blog. KLOÉ is a fashion, lifestyle, blogging and business WordPress theme which offers a great collection of pre-made styles to choose from. 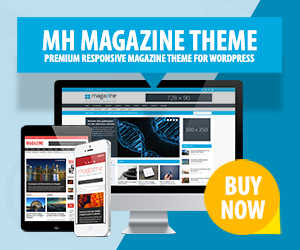 This WordPress theme is perfect for professional or personal lifestyle and fashion bloggers, because you can select any of the included blog templates and start writing right away – no coding skills are required….